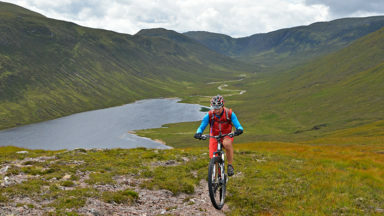 Dry weather is hard to guarantee in Southern and Central Scotland though summer is the likeliest time for dry trails. However, every season has its charms - so long as rain and mud doesn't scare you - and winter really can be a wonderland. Glasgow, Milngavie, Greenock, Lochwinnoch, Glentrool, New Cumnock, Moniaive, Durisdeer, Wanlockhead, Sanquhar, Hownam, Kirk Yetholm, Peebles, Traquair, Innerleithen, Longformacus, Gifford, Balerno. 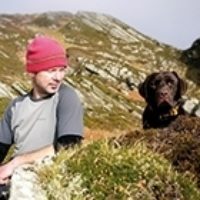 The Campsie Fells, the Pentland Hills and the Lammermuirs, the Galloway Forest, the Tweed Valley, the Cheviots and the Lowther Hills of Dumfriesshire. 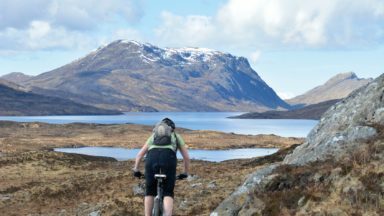 This guidebook describes 21 mountain biking routes in central and southern Scotland. 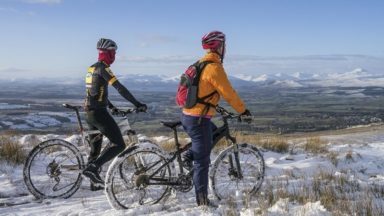 It includes the 7stanes trail centre in Dumfries and Galloway, as well as cross-country routes in the Campsie Fells, Pentland Hills and Lammermuirs, the Galloway Forest, Tweed Valley, Cheviots and Lowther Hills. The routes range from 16.5 to 66km and are graded from moderate to very hard. Taking between 2 and 7 hours to complete, they are intended for reasonably fit mountain bikers with at least some experience. 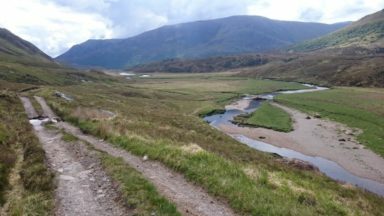 Detailed route descriptions are accompanied by 1:50,000 OS mapping, and the selected routes set out from various points across the area, including Greenock, Glentrool, Peebles and Milngavie, with good access from both Glasgow and Edinburgh. 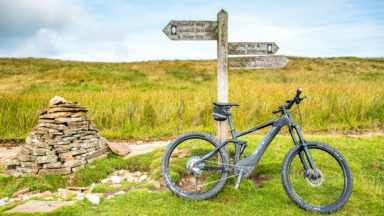 The guidebook also gives an overview of what the region's MTB trail centres have to offer, including the famous 7stanes trail centre, along with advice on equipment, maintenance and safety. 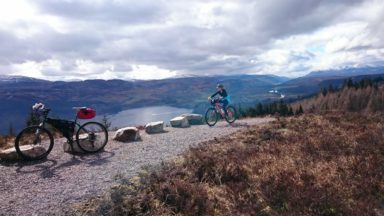 Southern and Central Scotland is renowned for its superlative MTB trail centres, but the region's rolling hill country is also traversed by an extensive network of tracks, paths, forest roads and other trails providing endless possibilities for 'free range' mountain biking. Ride 8 : the required OS Landranger map number is 74 not 80. The route instructions are very clear, concise and helpful. The book itself is pretty robust and an inspiring read. A welcome guide encouraging adventurous off-road days out; most welcome and really useful. Fitting nicely into a jersey pocket this guide has all you need. Even a dyed-in-the-wool-road-tourer is likely to feel the urge to get out the the knobbly-tyres and head off into the wilderness for a ride …. well, probably a bike and hike …. and the keen rough-stuffer or off-roader will be licking their lips. "The thing I liked most about this guide is the plenty food for thought it's given me for planning my own routes in the hills and new ideas for places to explore - especially as almost half the routes are easily accessible by train. Route instructions are concise but very clear and helpful. The book got quite wet whilst changing route plans in January's icy sleet yet survived unscathed, so it's pretty robust. An inspiring read - and not just for mountain bikers."